Justyn King’s third-ever track meet was a big success for the PCHS senior. Justyn King has only competed in three track and field meets in his high school career but made the third one — last week’s Jack Rice Invite — count. King won in the triple and long jump events and placed second in the high jump to score 28 of Plant City’s meet-leading 191 points. 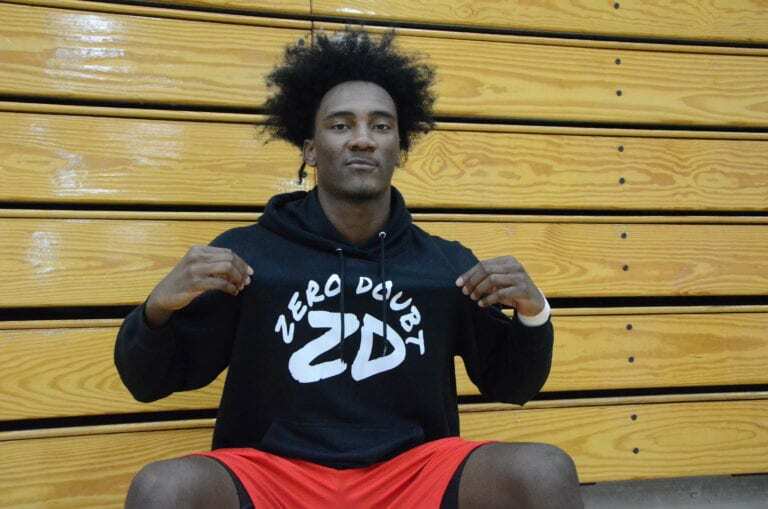 King is perhaps best known for his time on the Raiders’ basketball court as the team’s top forward and will go on to play college hoops at Bethune-Cookman University after graduating from high school this year. You did really well at Jack Rice. How were you feeling before the meet? That was your third track meet ever as a high school athlete. Do you get nervous at all before going out there in a sport that’s still fairly new to you? Literally my third meet. I get a little bit nervous. How do you get yourself in the zone before a meet? I just stretch, get warmed up and go through my steps, get ready. What made you want to go out for track and field this year? Just to stay in shape and get ready for Bethune-Cookman in June. When I go in everything will be easier if I stay in shape. What’s your favorite event to compete in? Now that I know what I’m doing it’s triple jump. I’m trying to go to states like my brothers did, both of them. Have your older brothers (Corey and Xavier King) given you advice? Yeah, I told them I think about what I’m doing too much and they tell me not to think about it, just do it. Just jump. What are you hoping to accomplish out there by the time track season ends? I’m trying to go to states, keep working out and keep myself in shape. What are you looking to major in at Bethune-Cookman? I’m gonna major in sports management. What’s been your favorite moment as a Raider so far? All of the people at the school, administration and all them showing a lot of love. It’s just fun going around school and saying good morning and all that stuff. They all respect me as an athlete and show a lot of love. That’s one of the best things about being a Raider. What are you going to miss most about high school when it’s all over? Nothing. Honestly, just basketball. Hanging with my teammates, we were all real close. It was just a lot of fun.